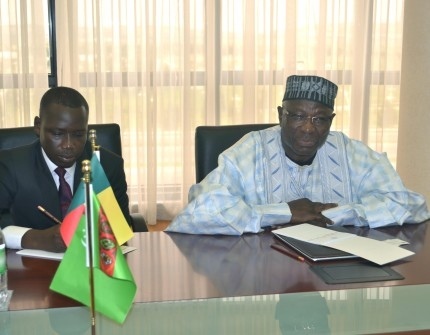 AKIPRESS.COM - Newly appointed Ambassador of Benin to Turkmenistan based in Ankara Mr. Issiradjou I. Gomina presented the copies of his credentials to Deputy Minister of Foreign Affairs of Turkmenistan, the Turkmen foreign ministry said on March 18. Parties stressed the potential of cooperation in political, trade-economic and cultural-humanitarian spheres. Parties proposed establishing the necessary legal base for holding political consultations of the Ministries of Foreign Affairs of the two nations.